COLLEGE SCHOLARSHIP Instructions----- All information contained in this application will be held in strict confidence. I attest to the best of my knowledge, that all the information I have given is truthful and accurate. By accepting this scholarship, I affirm that I plan to attend the college listed. In the event that I do not attend within a year, I agree to repay the Ladies Philoptochos Society of SS. 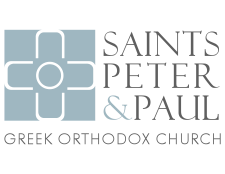 Peter and Paul Greek Orthodox Church for any scholarship award that I receive. When do you expect to enter the religious Greek Orthodox institution/camp? When do you expect to enter camp? One paragraph explaining how your Greek Orthodox faith has impacted your decision-making process.